Another mildly cold morning today. 9 degrees on the car thermostat. (celcius for you international mob). This morning was a bit of a struggle to get up. Gingerlee is located on the wrong side of Lygon st, if I can say that. Brunswick east. No dancing Ferraris around here. The iPhone took me around a couple of side streets. Today was a pleasantly good drive, listening to the hot breakfast. Very good dynamic with Luke, and Eddie. And Mick always brings something to the table. Today they were talking about the hug, and the different connotations that it has, especially with men. Poor Luke. Made for good listening though. Gingerlee is a nice quiet place. Rather industrial in a good way. Made for a more relaxed feeling. The breakfast menu was standard, nothing really stood out. 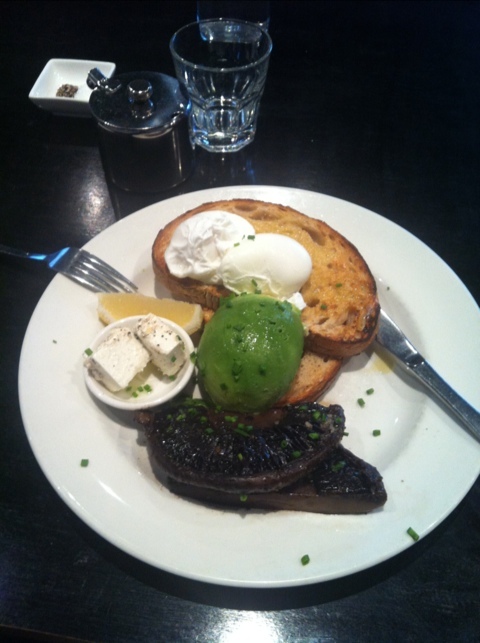 I ended up getting Poached eggs with slow braised field mushrooms, Persian feta, avocado and lemon. This sounded nice. I have to day, I was a little disappointed with the breakfast. The mushrooms let me down. Not a great deal, but just didn’t bring home the bacon. The coffee had a mild to strong aroma. Very little acidity, however, it had a very full flavor. A mild aftertaste as well. 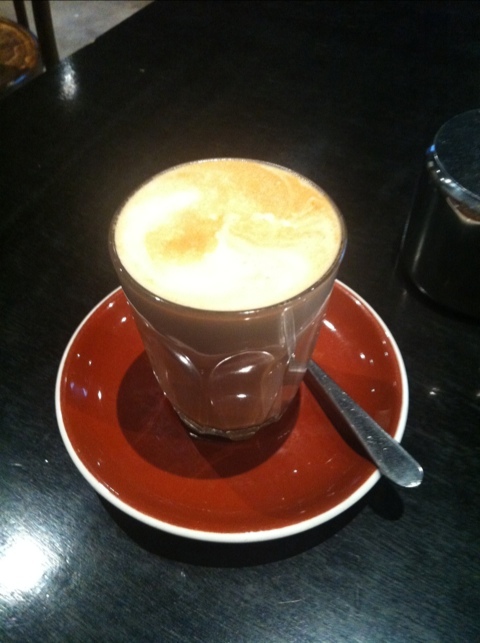 It was a little watery, really not as ‘creamy’ as some of the other coffees. It still went down well. But overall it wasn’t my type of coffee. The taste though lingered on the tongue. Quaint place. A little industrial.